The kettlebell swing is a great dynamic exercise that incorporates the benefits of an explosive hip drive. This exercise trains a large range of motion, which trains many different muscle groups simultaneously. In addition, this exercise mimics the Olympic weight lifts (namely the Clean) which improves speed and power production. Obtain a kettle-bell and position it in front of you between your legs. (They come in different sizes, so make sure you pick one that is suitable to your level of strength). Bend at the hips and knees and pick up the kettlebell with outstretched arms while maintaining a neutral spine. To begin the movement, shift your hips back with a slight knee bend while gently swinging the kettlebell back behind you. Perform the movement in a controlled manner- do not let the weight control you. Start light and make sure the movement pattern is controlled and deliberate. HOW CAN I INTEGRATE KETTLE BELL SWING INTO MY TRAINING? 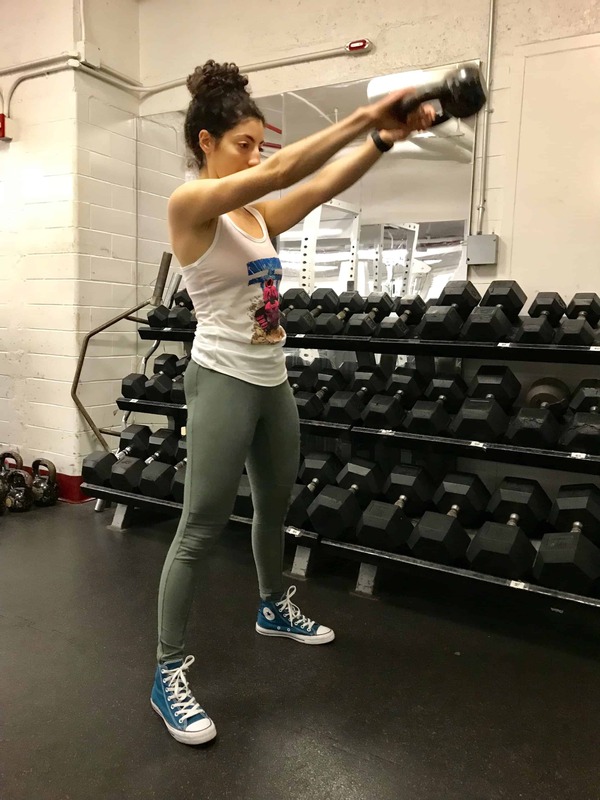 Check out The WCT Best Workout Template For Busy Professionals to find a simple way to add the kettle-bell swing and other great exercises into your routine.